Sequels to console games rarely make their way to mobile devices — and if they do, that usually spells trouble for a company. However, it can also serve as a rebirth to a series that needs a fresh start and a wider audience. Langrisser is looking to do exactly that, as it’s a more niche strategy Japanese role-playing game series that primarily only released in Japan. The only two North American entries in the franchise were the original Langrisser in 1991 and Re:Incarnation Tensei, which released in 2015. Langrisser for mobile is a sequel to the Japan-exclusive fifth game titled The End of Legend, which seems like an odd choice until you dive into the game. The story behind Langrisser starts off similarly to most Japanese role-playing (JRPG) games. Matthew, the main protagonist, along with childhood friends Almeda and Grenier, are attacked by a demon-controlled empire and are forced to run away from their town. That escape becomes a bigger narrative after the team is tasked with reviving the legendary sword Langrisser to fight against the empire, who wants to use the Alhazard, the dark counterpart to Langrisser. The plot works well and had me engaged throughout, despite being altogether predictable from the start. As a sequel to the fifth game in the series, you might assume it would be confusing to follow its plot. However, Langrisser does a really good job of introducing the series to the story’s premise. Along with this, Langrisser also summarizes the plot’s of all five games into what it calls a ‘time rift,’ where players can go through key elements of all the past games to gain a better perspective of the overarching plot. ‘Time rift’ is a neat addition as it gives depth and context to characters most people won’t know about. It’s important to note this feature is also integrated to progression, as you’ll need to beat a certain chapter in the ‘time rift’ to move further through the plot, which could be viewed as a negative. Langrisser has full dialogue Japanese voice acting, which heightens the production value and keeps the story feeling more engaging. Fire Emblem Heroes was a great mobile game but its maps were small and often lacked the depth offered in console entries in the series. Langrisser combines a mixture of both experiences by offering bite-sized maps for short missions and larger story-driven maps that involve set-pieces and boss fights. For those familiar with the Fire Emblem series, the game is super easy to jump into. Langrisser features nine different soldier classifications: infantry, lancer, cavalry, flier, assassin, archer, demon, holy and aquatic. Like the Fire Emblem series, there’s also a rock-paper-scissors mechanic, as classes have both strengths and weaknesses. To move soldiers you tap the screen in a grid-like system in order to place characters like chest pieces. From there, you can either engage in battle if an enemy is near you, use your special move, or opt not to perform an action. Once you engage in a battle, there are two health bars; a character and soldier health gauge. Both can swing the tide in a battle, as the more soldiers you take (displayed in the health gauge), the greater the damage you’ll inflict on an enemy. You can also equip different soldier classifications with one another. For example, a lancer-typed character can use archers or vice-versa. Having soldiers in the battle system adds another layer of strategy to your decision making. If you want to bring a high-level infantry character but it’s outclassed by most enemies? Simply equip the right soldiers to mitigate this. This is where Langrisser differentiates itself from the Fire Emblem series as you rely equally on your army. To be clear, Langrisser is a free-to-play mobile game. As such, it’s important to keep in mind that it features elements that limit your experience. It features the typical stamina bar, loot system (in the form of summons) and item drops to strengthen each character. Summons are pricey, costing plenty of in-game currency, which isn’t abundant to begin with. However, I didn’t find the stamina bar and item drops cumbersome, similar to my feelings regarding Dragalia Lost. I’ve never had to rely on summons or item drops either, as the game gives you a reasonable amount of characters in your party. Overall, Langrisser is a solid game and a good revitalization for the series as a whole. It has a fleshed-out strategy battle system, a solid story and great production values. 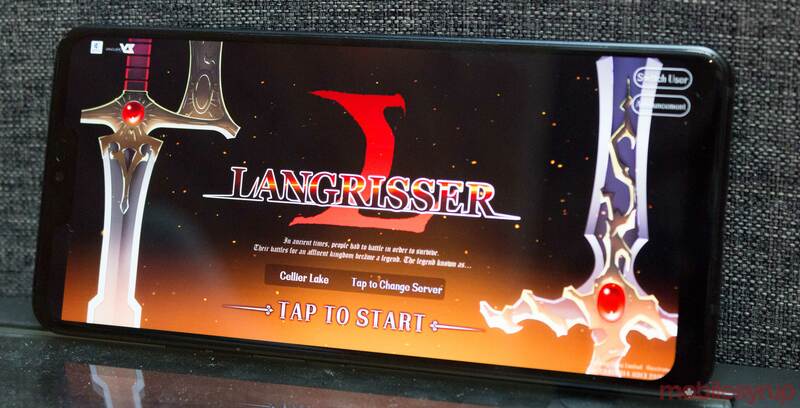 Langrisser is available for both iOS and Android.